Zambia is one of the most forested countries in Africa, with over 65% of the country covered by forest and woodland. But, it is estimated that the country loses approximately 300,000 hectares of forest annually, mostly attributed to agricultural expansion and wood fuel. Wood and charcoal are the primary sources of energy in the country. As the population in rural cities lack reliable access to electricity, so does demand for charcoal. Lloyd Maanyina, a reformed conservationist in Zambia. He used to cut down trees and burn charcoal but now he’s on the forefront in the fight against deforestation. 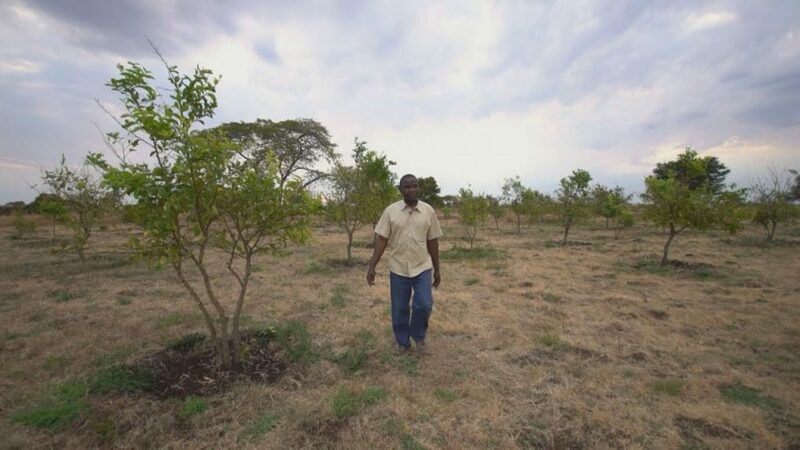 Lloyd Maanyina is a former charcoal burner who has dedicated his life to planting trees. He used to burn charcoal for a sustainable livelihood because small scale farming could not sustain him and his family. “I did become a charcoal burner because I didn’t have anything to do at that time,” says Lloyd. He describes charcoal burning as a way of life for many Zambians, and without it, there is no life. Lloyd with Misha Teasdale looking at the lemon seedlings that Lloyd planted for Green-pop. Misha is the founder and director of Green Pop, an international environmental organization that mobilizes volunteers globally to plant trees. “Looking back, I cut down so many trees that I can’t count. I don’t know the number, but it’s just numerous. I know I was created for a purpose and not for destruction,” he said. Lloyd’s dream to change started unfolding when he established a tree sampling nursery at his backyard, named Amazing Grace Nursery. “Initially, I didn’t do this for selling; it was the desire to plant trees because of the trees I cut down. 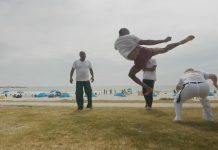 It was my payback time to nature,” Lloyd said. And with the support from his wife, they were able to manage it. 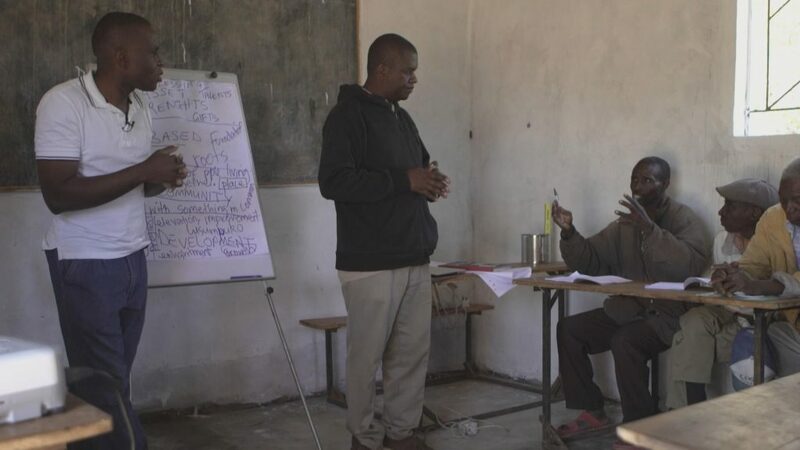 Lloyd with locals talking about reforestation, Lloyd founded Eco Green, a local NGO that is based in Livingstone. The organization seeks to teach local people on reforestation. 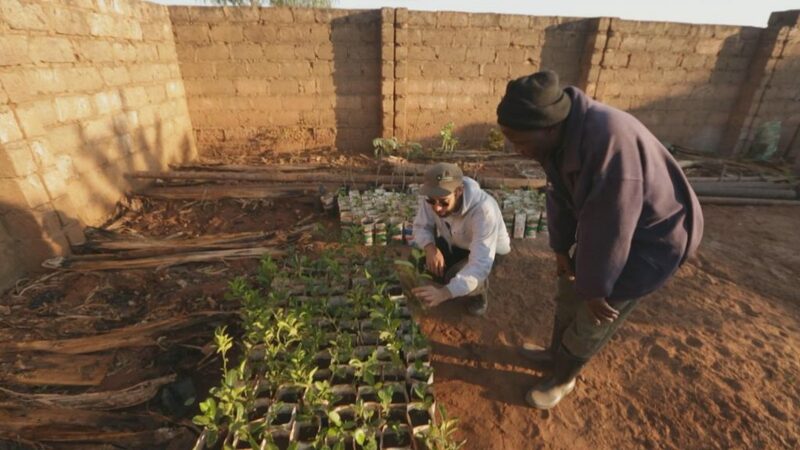 In 2012, Misha Teasdale, the Founder and Director of Green-pop, an international environmental NGO that mobilizes volunteers globally to plant trees, approached Lloyd to supply them with trees for their reforestation project. 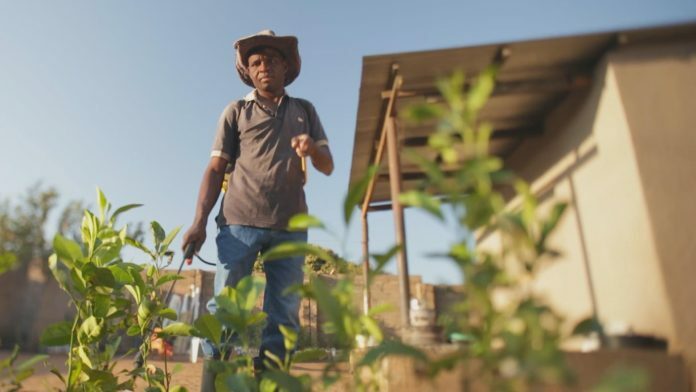 Seeing an opportunity to give back to humanity, Lloyd offered them an extra 111 lemon seedlings for planting. Working together with Green-pop, Lloyd aims to reconnect people with nature, by giving practical sustainable learning. 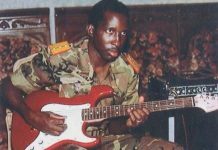 Along with Green-pop, he planted lemon trees on the Sands of Thunder farm in Livingstone, which became a symbolic act of his next step. In August 2014, he founded Eco Green, a local NGO based in Livingstone. The organization seeks to teach people on reforestation. During his activism, Lloyd met Benjamin Mibenge popularly known as Uncle Ben. He is the country director of Green-pop Zambia and Lloyd looks up to him as a mentor. Uncle Ben, an environmentalist himself, has dedicated three decades into planting trees. 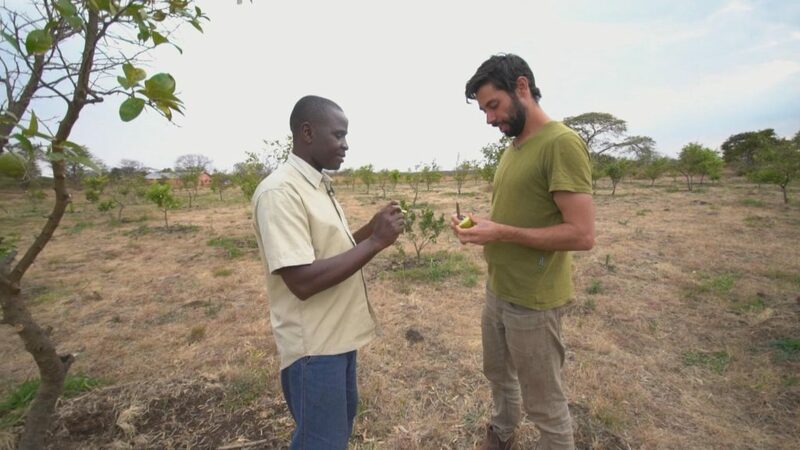 Lloyd and Misha sampling a lemon fruit from the trees they planted together on Sands of Thunder farm in Livingstone. “Lloyd is a good example of people who can change from one scenario to another,” says Uncle Ben. 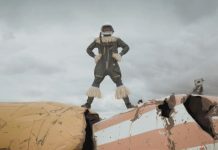 Working together with Green-pop, Lloyd aims to reconnect people with nature, by giving practical and sustainable lectures. If local conservationists like Lloyd Maanyina and Uncle Ben can work together, perhaps there’s hope in replenishing Zambia’s forests.